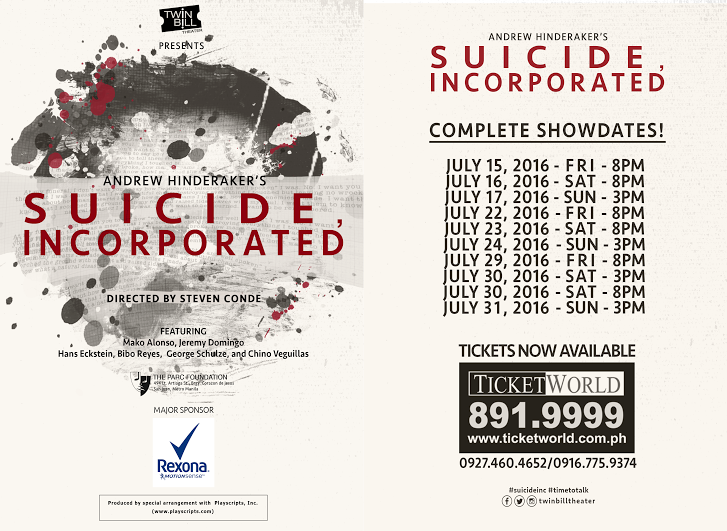 UPDATE: Suicide Inc. comes back for a one-day run this January 15, 2pm at the Maybank Theater! 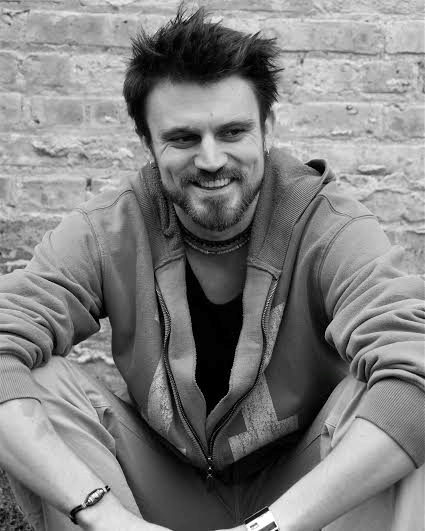 Catch Twin Bill Theater’s eye-opening production aimed to shed light and raise awareness on mental health issues to its audiences in “Suicide Incorporated”— a 2010 tragicomedy by brilliant Off- Broadway playwright Andrew Hinderaker. Suicide Incorporated will be directed by Steven Conde. HANS ECKSTEIN shall play the role of Jason, the newest hire of Legacy Letters, a company that prides itself in doing just that. He has an impressive back catalog of birthday cards. Produced by Twin Bill Theater, the company aims to produce shows that explore and challenge issues faced by today’s society. As its first official play for their first season, the founders led by theater professionals Joseph and Francis Matheu also noted that their goals are also focused on stirring up the public’s interest to rediscover, love and preserve our historical, cultural and spiritual values through theater; and to make quality, thought-provoking productions more accessible to the non-theater going public. The artistic team of “Suicide Incoporated” are as follows: Steven Conde (Director), Ed Lacson (Set Design), Jay Pangilinan (Sound Design), and Joseph Matheu (Lighting Design). The production team includes: Francis Matheu (Production Manager), Leoren Violan (Stage Manager and Graphic Design), Toots Tolentino (Publicity), Juliene Mendoza (Photography), and Kathleen Francisco (Marketing). Advisory: Recommended for ages 15+ due to strong language, and sexual references.